Everyone has been talking about it; Android’s rapid move to the top spot in consumers’ minds. 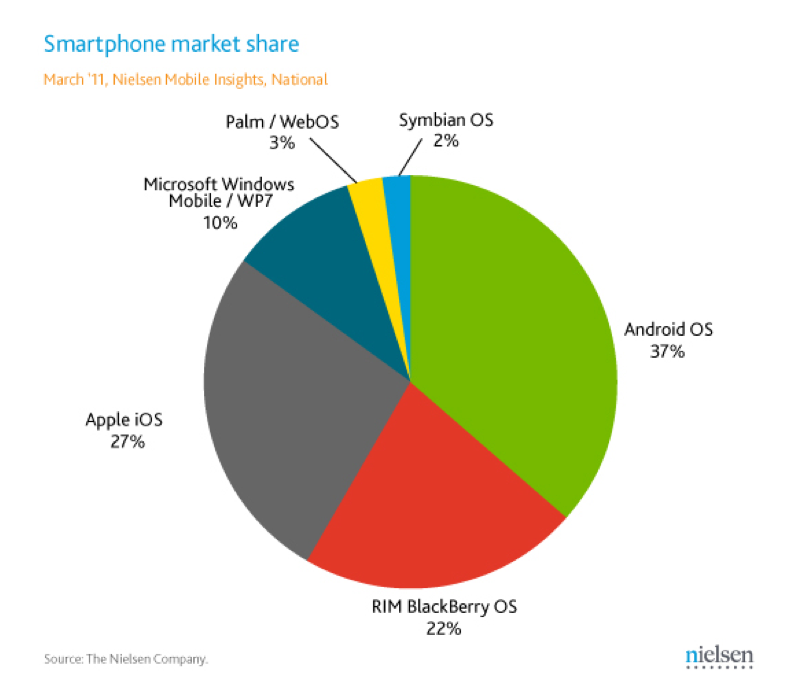 According to the Nielsen report from March 2011, Android had surpassed Apple’s iPhone to acquire 37% of the smartphone market. Recently, Google announced in its second quarter of 2011 that it activates 550,000 Android devices per day! One year ago, it was only activated 160,000 devices. (TechCrunch). Within the past two months at CollegeMobile, we have noticed an increase in demand; there have been many more requests to develop on this open-source platform and some clients are even considering it as the ONLY available platform. If you are considering expanding your iOS or BlackBerry app to receive maximum exposure within your target audience, you should definitely consider the Android! • Many more devices for end users to choose from! Check out PhoneRated.com for an up-to-date list. Keep this tips in mind as you purchase your next phone or are considering development on the Android platform to target your users. I really like that Angry Birds image!